Research shows that children from a very young age are aware of race. Parents play a critical role in shaping children’s perceptions about race and culture. However, many parents aren’t sure how to talk with their kids about race and racism or how to provide age-appropriate answers to questions about race – and worry that they aren’t providing the “right” answers. As a result, families sometimes avoid the topic, which may leave children feeling that the topic of race is taboo or too difficult to talk about. This workshop will provide parents with tools, resources, and confidence they need to talk with their kids about race and racism. Mary Ellen Henderson Middle School is celebrating career exploration with the Annual Career Fair event on April 12th from 7:00-11:20 a.m in the gym at MEHMS. Mr. Sowers (School Counselor at MEH) and Ms. Connelly (Business and Community Partnerships) are seeking volunteers to meet and greet middle school students to talk about their occupations. 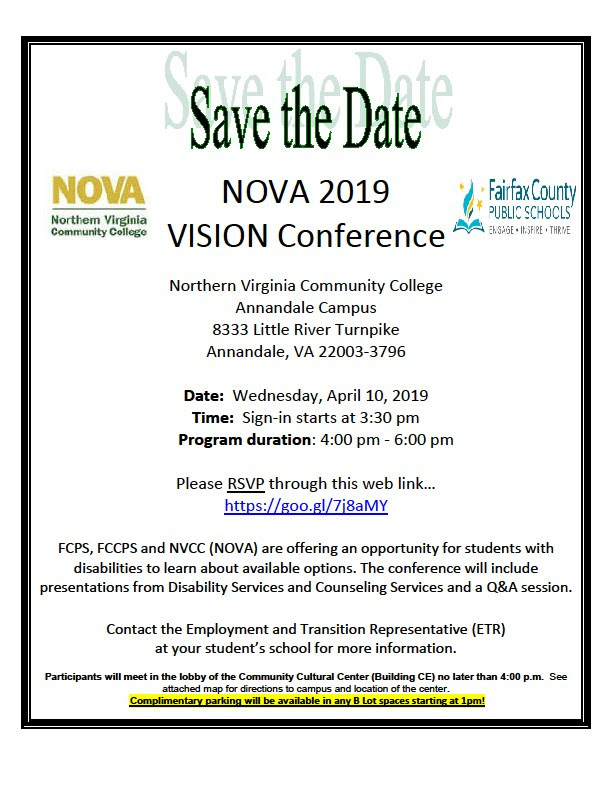 If you are interested in volunteering or presenting or know someone that might be interested in participating in the career fair, please fill out the registration form and FCCPS volunteer form. Our students truly benefit from listening to volunteer’s life experiences and expertise in their respected fields.